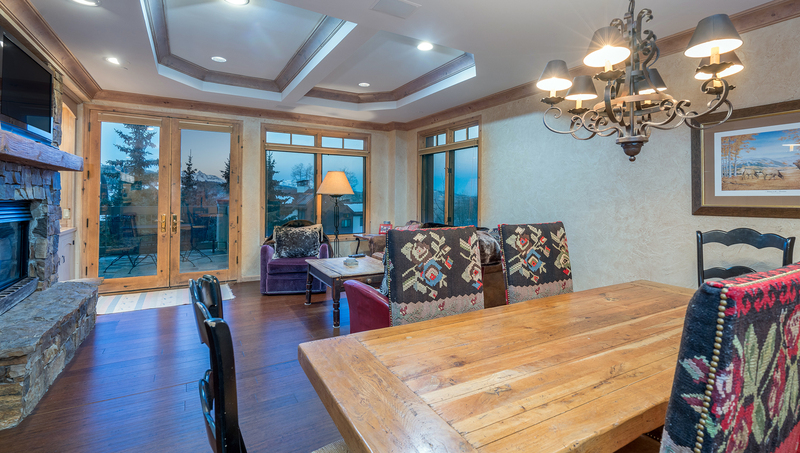 Centrum Condominiums are located in the heart of the Mountain Village Center and are just steps to the Gondola, Ski School, shopping and the slopes! 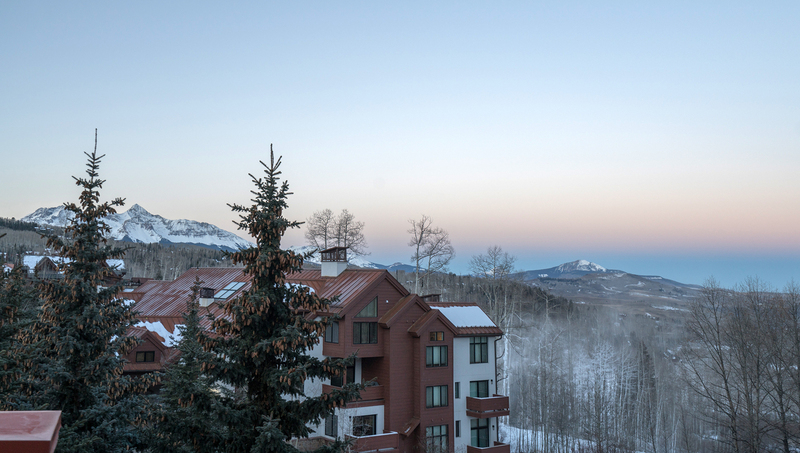 These stunning condominiums feature the best decks in Mountain Village with views of the San Sophia Range, Wilson Peak and the ski area. 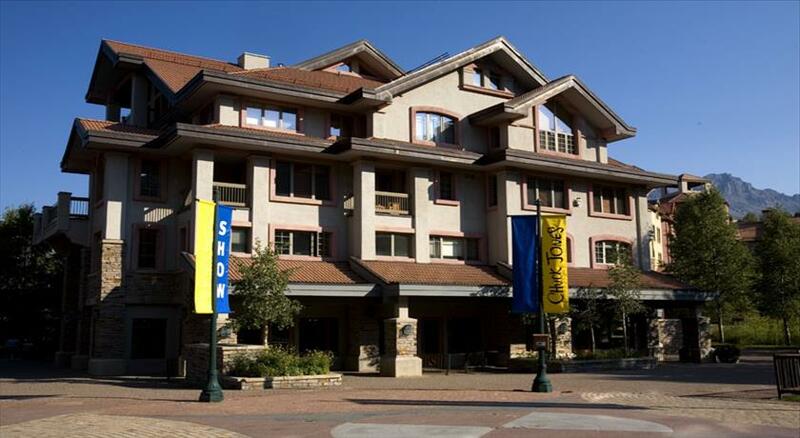 Across the plaza from the Conference Center next to the Mountain Village duck pond, you're steps away from the Gondola and ski runs. This deluxe condo with 180 degree views (looking South West) is located on the third floor accessed by a security coded elevator. You enter the condo into a tile mud room. The kitchen is located to the left of the entry. The full kitchen has granite countertops and 3 bar stools at the counter. The washer/dryer is located next to the kitchen. Directly in front of you from the mud room is the living room where there is a 42' flat screen TV w/DVD, a gas fireplace, dining room table with seating for 6 people, and a 400 disc CD player. 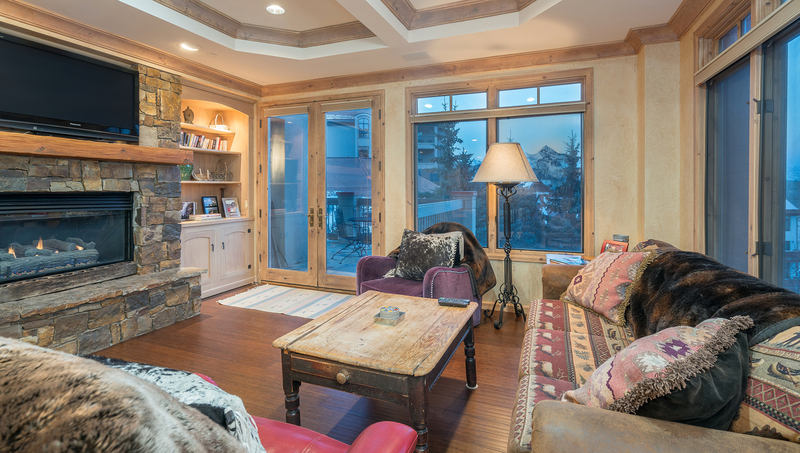 Directly off the living room is a deck with South West views of the Wilsons and alpine sunset that overlooks the plaza and ice-skating pond. 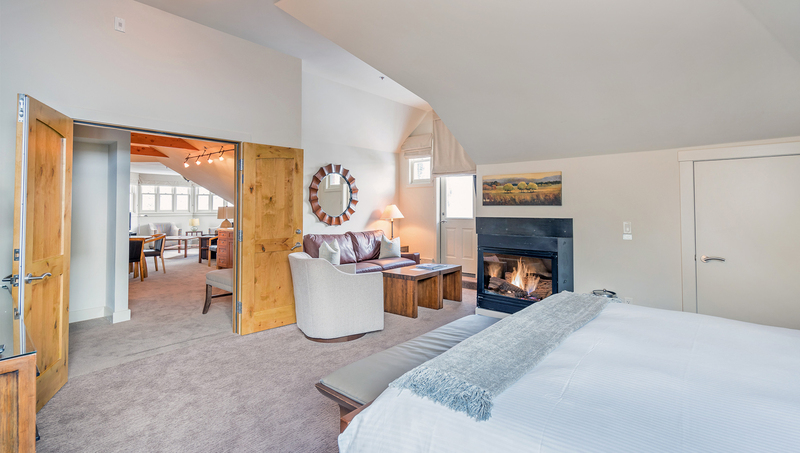 Down the hall off the living room is the master bedroom with a queen bed, 15' flat screen TV and private bathroom. The bathroom includes a jetted tub, separate steam shower and stone details. 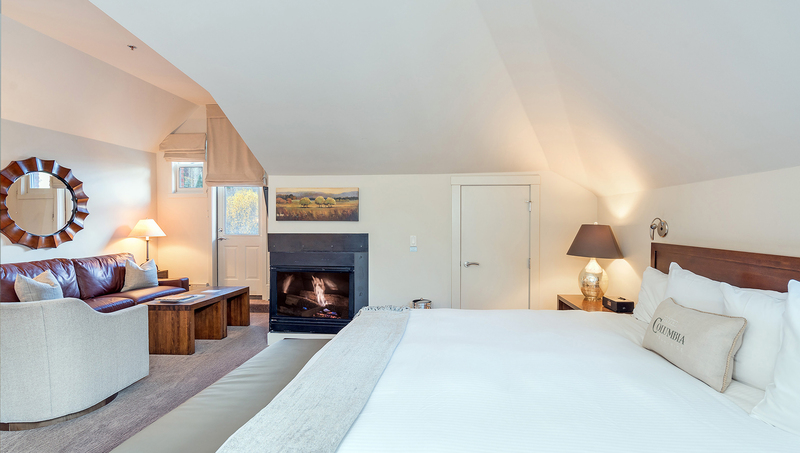 Also off the hall is the second bedroom which has a split king and private bathroom with a shower/tub combo. 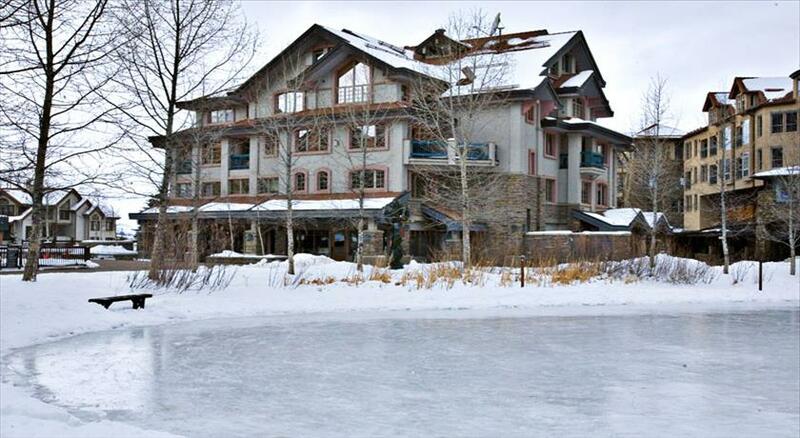 The complex is less than 100 yards from ski school, Lift #4, Gondola, and Lift #1. The unit has a ski locker available as well as room in the entry way for boots and coats. There is parking in the underground garage for 1 vehicle, the clearance for the garage is 9'4. Additional parking is available at the intercept lot for $25.00 per night.